Two weeks ago I had to fulfill my civic duty and serve on a jury. It was a civil case, not interesting, and as boring as a case might be. One thing, however, did occur to me. The jury trial process is a perfectly organized and well run scrum team. 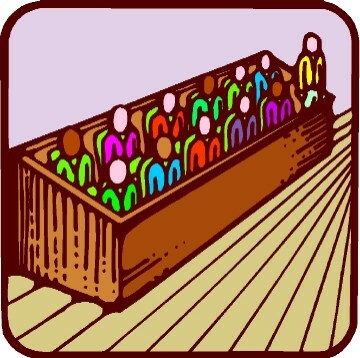 Yes – the jury panel is a scrum team. It was an eye opening experience for me thinking that the fundamental of our legal system is based on what so many believe to be a non working process. Scrum process defines several roles – Customer, Product Owner, Scrum Master, and Team. Lets look at each one of them as it applies to a jury panel. Each case has customers – a plaintiff and a defendant (or prosecution and defense in a criminal case). These two parties have a vested interested in a trial. Their interests are not the same (actually opposite) but yet they both want to get a certain thing at the trial’s end. Each case has a product owner – judge. The judge clearly controls the process. The judge will decide what level of access customers have to the team of jurors. He or she will control amount of information and priorities that jurors get to work with. A judge works with customers to get their requirements and represents to them what they might or might not get. A judge also decides on scope of work by limiting evidence or testimony. The team – jurors. First of all it’s the right size – twelve people (at least here in California). The team is absolutely self organizing. They are not limited in time, they are not limited in how they work, yet they have a clear definition of “done” – they have to come up with a verdict. Scrum master – the presiding juror or foreman. The presiding juror is the same as every other jury member. He gets to deliberate, voice an opinion, and vote. Yet she has an added responsibility for keeping jurors on track and keeping them focused. He doesn’t manage the team, doesn’t have any added authority, yet he is selected by the team to be their leader. What do you think? Can it be that our legal system is based on a scrum methodology?